With the continuous and rapid growth of the Internet and related technologies, the requirement for power to keep these services live has also gone up tremendously. Unfortunately, most of the technology giants such as Apple, Yahoo!, Microsoft and Facebook rely on companies that generate their power from coal. The use of coal to generate power adds to the carbon foot print. It has been estimated that by 2020 data centres will consume 1,963 kilowatts of electricity, which is more than the power that France, Germany, Canada and Brazil jointly consume at present. Tom Dowdall of Greenpeace said to the BBC that the availability of smartphones and netbooks is increasing the demand for cloud computing, which requires companies to invest even more in huge data centres. However, instead of trying to use greener sources of energy, most of the companies are only concerned with efficiency. 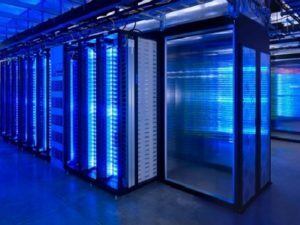 Facebook, which is developing its first custom-built data centre in Oregon, will use an evaporative cooling system to cool their servers. Pacific Power, the company that supplies Facebook power, uses more coal than the U.S. average. Over 380,000 people have joined English and Spanish language groups on Facebook set up by Greenpeace to pressurise Facebook to use 100% renewable energy. Facebook, however, claims to be helpless as they have to rely on the local power grid. Microsoft uses a similar air cooling system but claims to use 100% hydropower in their data centre in Dublin. Yahoo! also uses hydropower for their data centre in Buffalo, New York. Google is the only tech giant that has truly pulled its weight and has invested in a number of environment protection and green energy related initiatives.